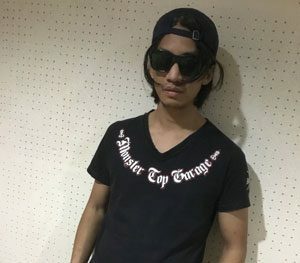 Artist, music producer and audio engineer, DJ OFFsyde (NK Wongwan) has been dubbed the “Asian EDM prodigy”. 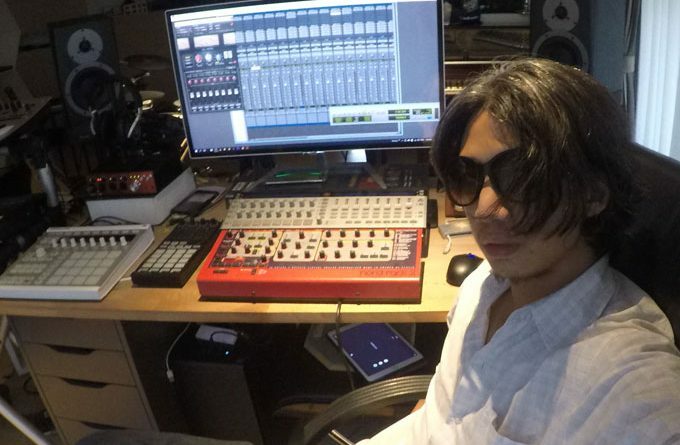 The South East Asian music craftsman has been engineering quality electronic music for more than 14 years. From techno to house and electro, to future bass, trance and ambient, as well as tribal dance music, DJ OFFsyde has worked his way through a myriad of EDM genres, before Electronic Dance Music even existed as a genre description. Recently he dropped his 14 track album entitled, “COSMOSCAPE” which interprets his own style of dance music, inspired by the pioneers of EDM from the 90’s to beyond. All music on the album was written, arranged, composed, programmed, recorded, mixed, produced and mastered by Dj OFFsyde himself. From the smooth soulful groove of the first track “VR clouds Deep Space”, to the banging title track “Cosmoscape”, which sits slap bang in the middle of the album, and onto the chilled closing track, “Electro Frequencies”. This is a recording full of riveting emotion that will get you addicted to it like no other. Truly Dj OFFsyde is one of the best in his field. It’s an album that can take all your worries or problems away and replace them with positive energy. Listening to many songs on this album makes you feel like you are in some type of beautiful and mystical dreamland. The mesmeric rapture begins with the ethereal voices of “All Night Long (2019 Club Remix)”, and continues to hypnotize your senses with another standout in the form of “LuminescencE (Re-released 2019)”. The feeling and experience you gain from hearing these works of art defy words. Targeted to mainstream dance audiences, and filled with catchy melodies, these tunes sound great at the club, but are equally at home at the dance floor as they are in the chill-out room. 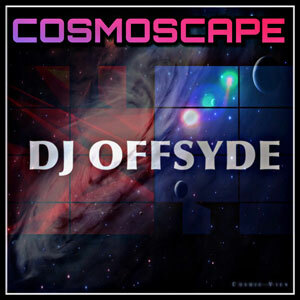 Dj OFFsyde uses piano prominently in many of the cuts, along with synth strings and pads, drums and synth bass. Vocals are featured on a few cuts, but the focus is on the music, rather than vocals or lyrics. And it is here where he shines brightest. Listen to how he weaves the melodic motifs of “Hard Candy (2019 rebirth! )” and “Ray Of TRANCE (club mix 2019)”, throughout the bubbling rhythms and enveloping backdrops. Dj OFFsyde is an expert at taking simple material and shaping and expanding it into extended cuts. Hear how he takes basic materials on “Neon Matrix” and uses them tastefully and effectively to build a pulsating and exciting track. This cut is a great tune for driving, because it takes you on a musical journey. “Kalypso ft. PJjiVe” is mellow and upbeat at the same time, as Dj OFFsyde weaves a web of intricate percussion to keep the momentum fluctuating. “GroovE RyDa” comes out growling, before transforming into an electro bounce and then folding back into a sonic crunch. There are moments where this rips through the room like an exploding synth and split seconds where the gentle layering lures you into picking up the cohesion to tear it apart in search of an answer. This is how electronic geniuses emerge. Throughout the album, the style of music here is decidedly dance, in addition to that, you have lightly sedative vocals which float through some of the songs, giving them a dreamy mood, and deeply contributes to the album’s magical and very surreal atmosphere which is sheer heaven to the senses, even in the more abrasive sections. From “ECSTASY (2019 club mix)” to “Before You Go”, the music is like an emotional rollercoaster. Most dance music these days tends to be too shallow and unmoving for me despite their great beats. Dj OFFsyde however, is one of the more innovative electronic producers around today. Hence his songs are deep and emotional. The sweeping grandeur of the melodic beats of “KANSAI KAWAII (8bit of love)” and “INTERLUDE” would be perfect for any soundtrack. It uplifts and makes you delve into your innermost self, which is far more than regular EDM seeks to achieve. This music can be whatever you want it to be with just one twist of the volume knob. Turn it up full blast and it’s perfect for whenever you need a boost of energy. At normal volume, it makes for great rhythmic ambiance. Clearly Dj OFFsyde is in a league all of his own!